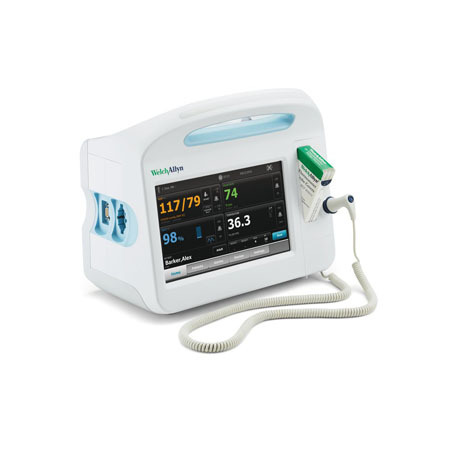 The Connex Vital Signs Monitor is an advanced, touch screen monitor featuring bright, vivid colors with minimal knobs or buttons for ease of cleaning, improved workflow and training. 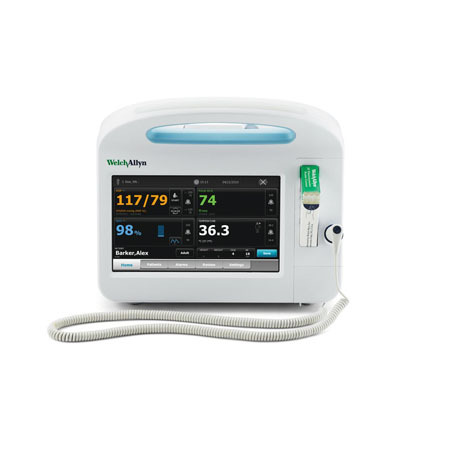 Ideal and adaptable for all health care environments and clinical workflows, it measures pulse oximetry, blood pressure and temperature. For office based settings, we also offer a unique blood pressure averaging program to help reduce misdiagnosis of hypertension caused by White Coat Hypertension. For hospitals, this monitor offers profiles that support multiple clinical workflows including triage, spot check vitals and continuous monitoring for higher acuity patients. In addition, the device has the capability to provide clinicians with early warnings/alarms to help them proactively intervene to reduce patient falls, pressure ulcers, and respiratory distress, and to improve EMR documentation. In hospitals this device also has the capability to communicate via wireless to an EMR. We are a leading global manufacturer of medical diagnostic equipment with a wide range of connected solutions. With nearly 2,600 employees working in 26 different countries, we focus on the customer and imagine how healthcare will be delivered in the future to develop tools and future proof technologies. Our customers include physicians practices, community clinics, skilled nursing facilities and emergency departments where 95 percent of patients first seek medical treatment. Welch Allyn combines a practical understanding of clinical needs with a visionary spirit to develop solutions that assess, diagnose, treat and manage a wide variety of illnesses and diseases.